That’s it for the 44th Cambridge Beer Festival. The weather was amazing – not a drop of rain fell on the festival while we were open. 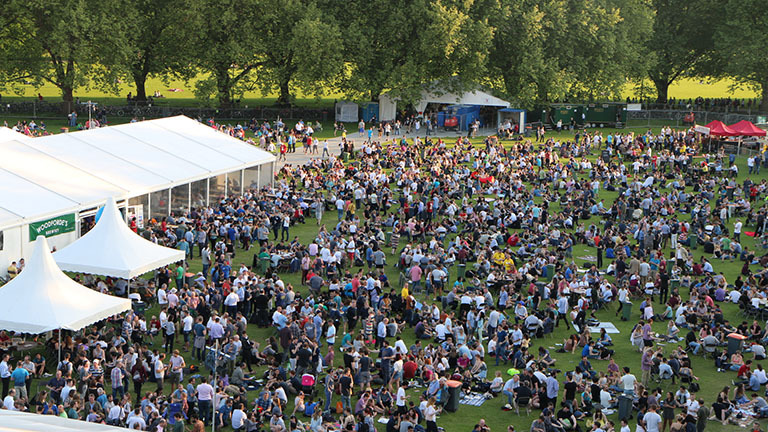 Over 44,000 of you came to the festival over the week – soundly beating last year’s record of 41,000. You got through over 100,000 pints of beer, cider, mead and wine. Thanks for being such wonderful customers. The beer festival is put together by an exceptional team of volunteers. Many thousands of hours of work go in to the festival, before, during and after the public are on site. If you’re interested in being part of that team then get in touch. After eight years of leading that team I’m stepping down as festival organiser. I’m certain my successors will continue to make the festival better every year.